We no longer take online orders. Only wholesale deals below. Last Day! *** Customer pays actual shipping cost. Our zip code is 60004. We can use our UPS account, or customer's UPS account. · SOLD! 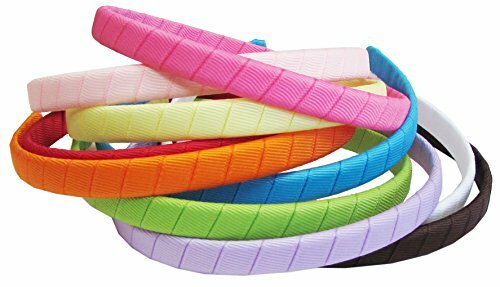 3/8” and 5/8" printed ribbon, classic stripe ribbon and lollipop stripe ribbon: $0.1/roll for 5yd, 10yd, 20yd or 25yd rolls. · SOLD! 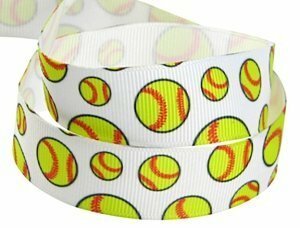 7/8”, 1.5”, 2.25”, 2.5” and 3” printed ribbon: $0.22/roll for 5yd, 20yd and 25yd rolls. 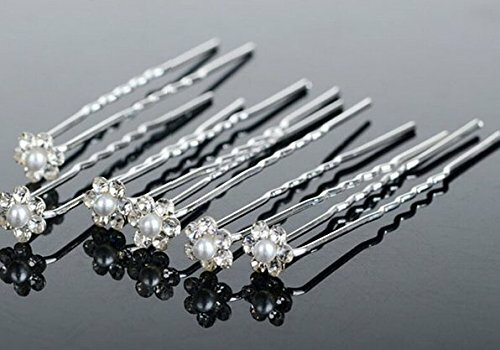 Most of them (I’d say 70% or more) are 7/8”. · SOLD! 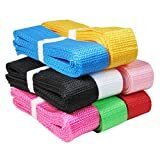 Solid grosgrain ribbon (1/4”, 3/8”, 5/8”, 7/8”, 1.5”, 2.25”, 2.5”), solid satin ribbon (1/4”, 3/8”, 7/8”, 1.5”) are free if you purchase all printed ribbon above (so all your cost is shipping charge).
. 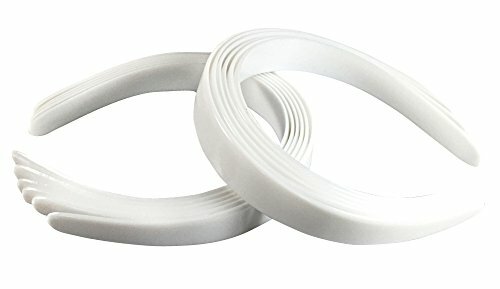 Solid satin ribbon, solid grosgrain ribbon in 3": $0.8 for a 5yd roll and $1.5 for 20yd rolls.
. Thermoweb heatnbond Lite 15yd roll, in 3/8" or 5/8": $0.25 per roll. Thermoweb 1/4" double side tape is free if buy all heatnbond.
. Korker ribbon made of 1yd 3/8" grosgrain ribbon, $5 per box (box size 8"x8"x16").
. HipGirl brand cotton crochet hats, large: $0.4 each. Small: 0.15 each.
. Other brand Crochet hats, large or medium: $0.2 each. 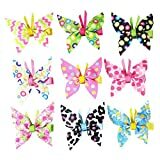 Small: 0.10 each.
. 8" crochet headbands for tutu top: $0.15 each. 1.5" and 2.75" crochet headbands (not many left) will be shipped together free.
. Double ruffle ribbon in 5/8", 7/8" and 1.5": $0.15 /5yd. 40% off unit price on 100yd roll or 55yd box.
. SOLD! HipGirl sparkle ribbon in 3", 5yd or 20yd rolls: $1 each. 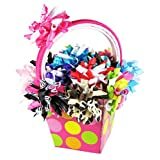 sparkle ribbon in 3/8", 7/8", 1.5" and 2.25" are free if you purchase all sparkle 3" ribbon. · 100yd printed ribbon (no dots left), 3/8”, 7/8”, 1.5”,2.25”, 3”: $2 per roll—We don’t have a lot left. Maybe 100-200 rolls. 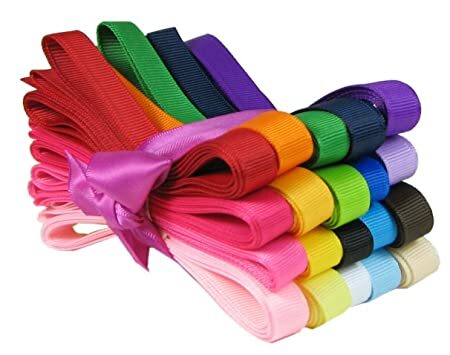 · 100yd satin ribbon in 3/8” which is our best sell on amazon: $1.2 per roll. We have a lot left. About 1000-2000 rolls. 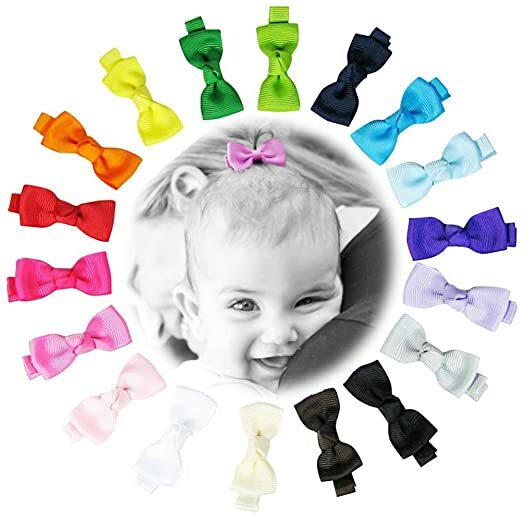 · Hair bow clips (3" or larger, pinwhee or boutique style), ribbon wrapped headbands (1/2" or 1"): $0.05/piece. 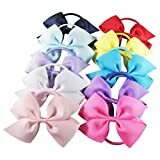 These might be packed as 5pc/bag, 10pc/bag or 100-200pc/bag.
. 2.25" petal flower clips, small silk flower clips and mini bow clips are free if you purchase hair bow clips & headbands above. 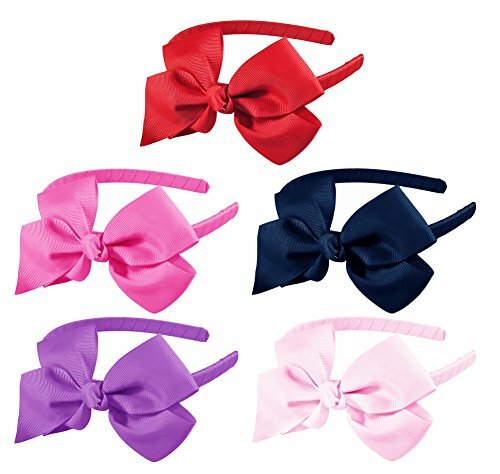 · Hair bow, headbands combo set (listed on amazon): $2 each. Estimate we have 2000-2500 sets.
. SOLD! 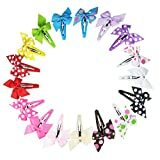 Light weight DIY bows(10-20pc/bag), DIY mini bows(20pc), shabby flowers(10pc), lace headbands (12pc): 0.15/bag. 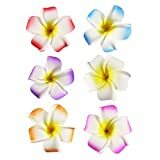 · Silk flowers: $3 box (box size 16”x8”x8”). We have about 100-150 boxes. Each box has 200-500 flowers (except 4.5” large peonies, maybe less). 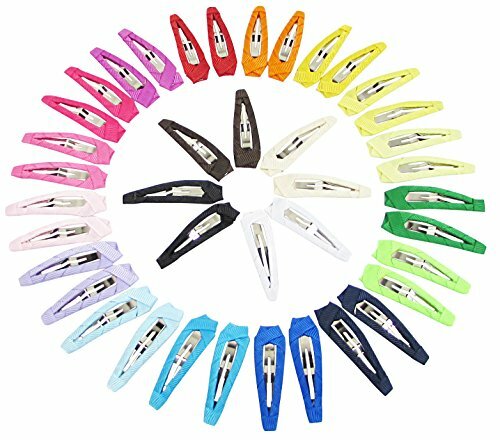 · Other hardware, like plain metal clips, bottle caps are free if you purchase over $4000. Please note that these are heavy items so the shipping cost will be higher. You can choose any one or several categories above if you prefer. If this message has been filtered to your junk folder, please remember to add us to your Safe Senders list or address book to ensure email delivery.